The snake gourd, also known as Chinese cucumber, occupies an important place among vegetables in India. 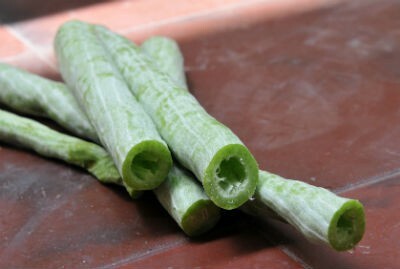 Snake gourd is a very nutritious vegetable. Snake gourd is a natural antibiotic, expectorant, and laxative. Common names include serpent gourd, chichinga, and padwal. It is known as chichindo in Nepali, chhachindra in Oriya, chichinga or chichinge in Bengali, purla in Sambalpuri language, potlakaaya in Telugu, pathola in Sinhala, pudalangai in Tamil, dhunduli in Assamese, paduvalakaayi in Kannada and padavalanga in Malayalam. 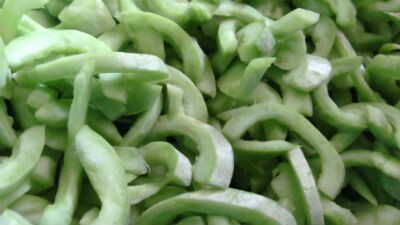 We have 17 Snake Gourd recipes in this category. Here are the most popular Snake Gourd recipes from Awesome Cuisine ever.